Here you will find a number of treatments designed for anyone who may be experiencing some blemish, acne or pimple problems. Ranging from mild to severe, we can help. With 40+ years experience in treating various skins, Brea understands the causes of acne, blemishes and pimples. Once we determine the cause of your skin problems, we can proceed to get your skin clear. Our work is very different from the best dermatologist for acne. You may be using topical creams prescribed by your dermatologist in Asheville and they may not be making a difference. Let us look at your skin – 30 minute free consultation – and we will tell you exactly what we can do for your blemish problem. HORMONAL Acne is not ALWAYS that. There are other conditions that cause acne that is not considered at the dermatologist’s office. Please give us a chance to look at your skin and help you receive the proper care. Drugs can often exacerbate the problem. We give you a fresh new look at what your root cause may be. ADULT ACNE has been misdiagnosed for many of our clients. 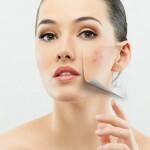 There are many conditions that cause acne. We look at the root cause of your acne and help you get the clear skin you are craving. We offer treatments perfect for blemished and problematic skin including acne, pimples, acne rosacea, and cystic acne as well as scar reduction. 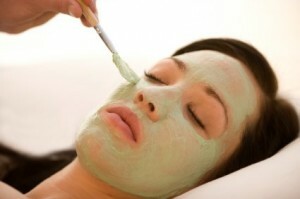 We recommend if your acne, blemish or pimple condition is mild, that you start with a Signature Facial. If needed, Brea will recommend one of the treatments below. Of course, it is perfectly fine to choose one of the facial treatments below for your first appointment. For more than 30 years, the Restorative Facial has continued to be our most popular. Within this “corrective” version of the facial, we perform the exact protocol as the Restorative with the exception that we spend more time performing extraction procedures. During a Corrective Facial, everything your skin needs is provided in this deeply cleansing and most relaxing facial. Exfoliation and extraction with our signature massage technique bring it all together for a fabulous facial each and every time. Achieve clear skin once and for all. This facial is the perfect choice for anyone who is concerned with a challenging complexion. Focus during this facial is deep cleansing and serious extraction. Results will be seen in a few days after the treatment. Several treatments may be needed to achieve clear skin. Extraction Quick Fix may be recommended as a short follow-up. The Hydra-Brasion will gently resurface your skin, getting rid of dull and lifeless complexion. Serums and exfoliators are applied to the skin to soften congestion in pores before we use our specialty warm water exfoliation system. Get the complexion you’ve always wanted – clean, clear and glowing. Feels good and helps dislodge stubborn impacted blackheads. Extraction is included. The ultimate resurfacing & nourishment treatment to transform your skin. Combines technology (Diamond Peel & Hydra-Brasion) with mega-doses of cell-targeted ingredients to gently resurface your skin, getting rid of dull and lifeless complexion while softening blackheads. Relax under oxygen while healing and deep serum penetration takes place. This treatment is best for blackheads, and a few breakouts. If breakouts are too severe, we cannot perform this treatment. See Purity Infusion for severe breakouts. Infusion Diamond Resurface is a beneficial facial treatment for skin congestion. Infusion Diamond Resurface involves the same principles as traditional micro-dermabrasion, but after the dead skin cells have been removed, we apply vitamins, antioxidants and peptides under oxygen. Because the skin is more permeable once the skin cells have been removed, the absorption of the substances applied to the skin is greater. Extraction is included with this treatment. Living with acne scars day to day may be difficult for you. If so, Pintra Scar Reduction treatment may be the perfect option for you. 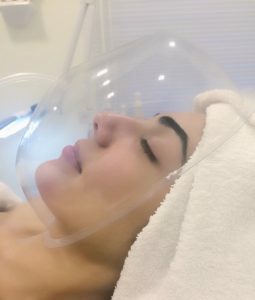 This treatment involves a sophisticated radio-frequency technique (deep tissue heating), a technologically advanced method with great results and quick recovery time. It is designed to stimulate the body’s natural collagen production. 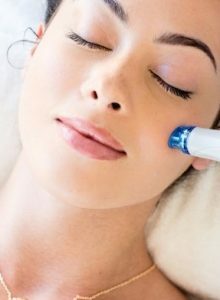 This is a unique way to address and correct the following: acne scars, surgical scars, chicken pox scars, stretch marks, wrinkles and upper lip lines, hyperpigmentation, lax skin, sun damaged skin, large pores and skin texture. see: what is Pintra SERIES PRICING AVAILABLE. 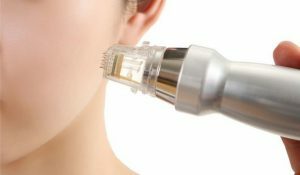 This treatment creates a glowing complexion and is a non-invasive, gentle-to-the-skin treatment. Most clients indicate the sensation is a slight tingling feeling, much like pins and needles as when your foot goes to sleep. This treatment is very popular in Asia, and has been made famous by Asian Celebrities. If you’re looking for a quick quality skin rejuvenation with no downtime, do what they are doing in Hollywood just before they hit the red carpet, The Claritas is a Super Light procedure for enhancing the skin’s radiance and promoting a smooth, glowing complexion. It helps to reduce imperfections like enlarged pores and acne, which originate from the outer skin layer. This facial treatment gives an instant improvement to your skin tone and texture, many people like to have a single session to have china doll porcelain skin before a big event or night out. Helps clear acne with light therapy and radio frequency for oily skin, acne and cystic acne. PRICE VARIES PER AREA – see page link. Come weekly and get one cleansing and extraction only for 45 minutes.This will help keep or get your skin clear.Also good for those on a budget. Come weekly and get one cleansing and extraction only for 30 minutes.This will help keep or get your skin clear.Also good for those on a budget. Perhaps you need some extra work in between facial treatments.One cleansing and serious extraction for the time allotted. Great for budget conscious clients. NOTE FROM BREA: I want every person who is experiencing any type of acne to know that I am passionate and compassionate. My goal is to get your skin clear as quickly as possible. I can do that for you. Depending on the severity of your skin condition, it can be obtained in 1-5 treatments. There are conditions that may take longer and that may be partly due to discovery of the root cause. The root cause may be as simple as changing a habit or product and can be more difficult. We stay with it and continue to probe by asking questions over and over again until something is revealed. For example: One client answered all my questions and on her third treatment, I noticed she had a special type of oil in her hair – the hair oil was her problem. Another client was working in a movie theater where she popped the popcorn – it was the air-born oil that was causing her problems. EMAIL FROM CLIENT – received Corrective Facial treatment (July 8, 2015) and several Quick Fix Extraction treatments. Email received September 23, 2015.Here’s a little review for you, if you want to add it to your site. You have my confidence!After years of struggling with acne and many failed “treatment” options, I felt defeated and toyed with the idea of Accutane. After all things considered I could not justify putting my body through the harsh process for the sake of vanity. I was apprehensive that anything or anyone could really treat my problem skin but decided to give a more holistic approach a try and contact Brea and I am so glad I did! It’s been about three months and Brea has totally transformed my skin through her products and services. Brea is gifted at what she does and genuinely cares about her clients – she is warm-hearted and her level of professionalism is unmatched. I would recommend her to anyone. — Thank you Brea, I feel spoiled. You are incredible!!! Have friends visiting Asheville? Visit our partner Vacation Rental Asheville for a place to stay.